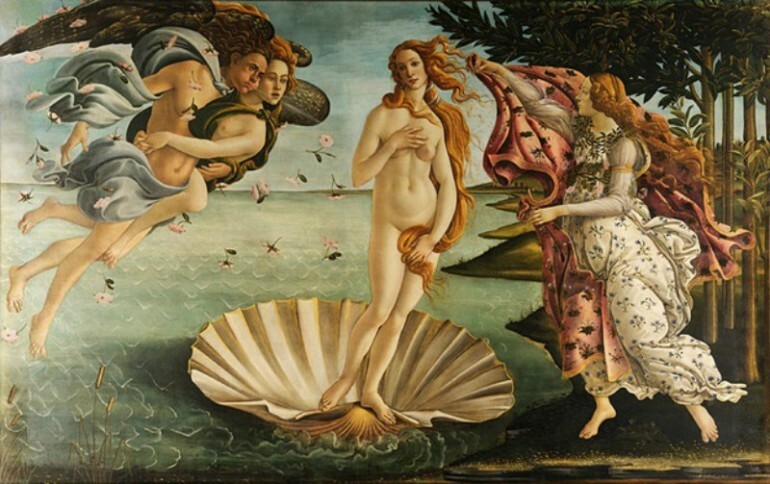 Christened Allessandro di Mariano Filipeli, Sandro Botticelli, born on March 1, 1445 was one of the greatest Florentine Renaissance painters, with “The Birth of Venus” as one of his more viewed and popular paintings for all time. Modern viewers consider it as the vital principle of the Renaissance. The early part of his life and most of his adult life spanned the years that saw the importance of Florence, the city where Renaissance Art was born. Florence is also the birth place of two of the most outstanding High Renaissance masters, Leonardo da Vinci and Michelangelo. His elder brother Giovanni was pawnbroker and was called Botticello or “Little Barrel,” from which Sandro’s last name came from. Most of the modern information on Botticelli’s life, came from the biographies written by Giorgio Vasari. While he apprenticed in a goldsmith’s studio, Botticelli preferred to paint therefore his father sent him to apprentice under Fra Filippo Lippi, a Florentine master who was admired by many art patrons and students. 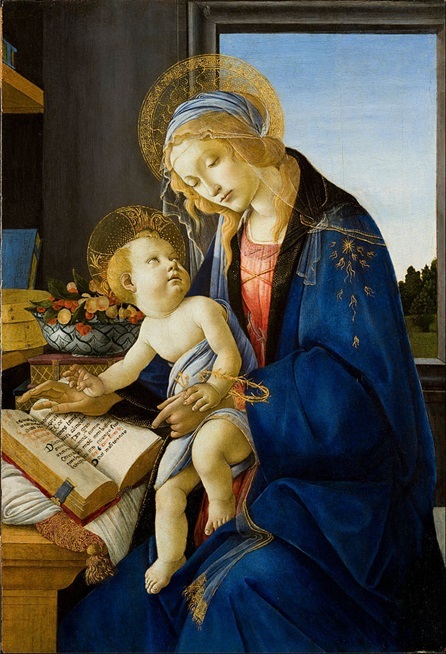 Botticelli’s own style was largely influenced by the early Florentine style of Lippi’s. The master taught Botticelli how to have a firm control of linear perspective and the techniques employed in fresco and panel painting. Many of the types and compositions of Botticelli came from the teachings of his master, which were still evident even if Botticelli’s own style evolved later, with a palette of more resonant and stronger colors. He inherited his master’s linear sense of form, graceful yet fanciful costuming techniques and partiality to hues that were paler that others. When Lippi left for Spoleto in Perugia, Botticelli improved his figural style by studying the works of Andrea del Verrochio and Antonio Pollaiulo. From creating figures that were soft and frail, Botticelli started to create figures that were sculpturally stronger and rounder, replacing the delicateness he learned from Lippi with a robust and active naturalism that was still guided by what an ideal beauty should be. At the age of 25 he was already an established master and had his own workshop. His style matured around 1478-1481. Gone was the tentativeness and his works showed great mastery. He integrated setting and figure in harmonious compositions and there was forceful vitality to his human forms. Later, he developed an unequaled skill at depicting narrative texts, such as stories of great personalities and biographies of saints into eloquent, economical and exact pictorial forms. Due to his popularity and mastery, he produced works in all genres of art in Florence during his time, creating altarpieces on panel and in fresco, small devotional triptychs and tondi or round paintings. Famous during this period in his life were his panel of the “Adoration of the Magi” (1476), the Bardi altarpiece (1484-1485) at the Church of Santa Maria Novella and the religious frescoes he completed in 1842 for the Sistine Chapel decorations. Botticelli became a master of the tondi, the most famous and beautiful of which were “The Madonna of the Magnificat” (1482) and “The Madonna of the Pomegranate” which he completed around 1487. Botticelli’s late works already showed the influence of Mannerism (which came after High Renaissance), such as in the glorious “Cestello Annunciation” and his rendition of “Pietà,” which is at the Poldi-Pezzoli Museum in Milan. Botticelli died in 1510, and about 50 of his own paintings survived to this day, many of which could be seen at the Uffizi Gallery.